P.F. 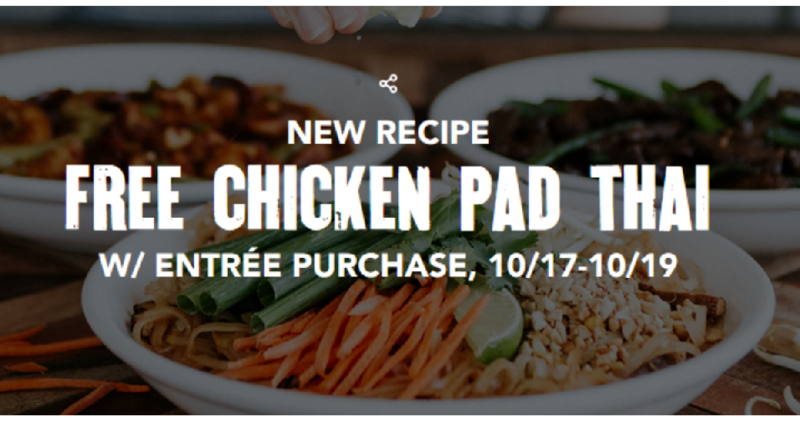 Changs has a new recipe and to celebrate they are offering a complimentary Chicken Pad Thai with any entrée purchase through 10/19. To redeem this offer, print or show this barcode to your server. Limit one redemption per table. Dine-in only.